Sonny Bill Williams is a New Zealand rugby union footballer and boxer. Check out this biography to know about his childhood, family, personal life, achievements, etc. 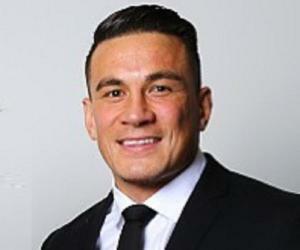 Sonny Bill Williams is a rugby union footballer and boxer. He is only the second player after Karl Donald Ifwersen to play for New Zealand in rugby league as well as rugby union. Already considered a legend by many, Williams has won two rugby union ‘World Cups,’ a feat that has not been achieved by many players. He has represented New Zealand in prestigious ‘rugby union sevens’ tournaments, including the 2016 ‘Summer Olympics’ in Brazil. In 2013, he was honored by the ‘Rugby League International Federation’ (RLIF) with the ‘RLIF International Player of the Year’ award. Williams is also known for his boxing career. 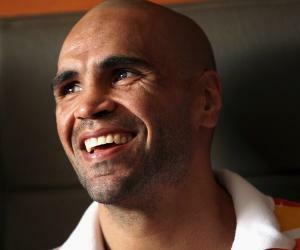 He is the former ‘WBA’ International Heavyweight Champion and ‘NZPBA’ Heavyweight Champion. Sonny William Williams was born on August 3, 1985, in Auckland, New Zealand, to John and Lee Williams. Born into a working-class family, Williams was raised in a state house (public housing) at Mount Albert. In one of his later interviews, Williams revealed that the reason he started playing professional rugby was to buy a home for his mother. As a child, Williams was proficient in playing many sports, such as Australian rules football (footy) which he played against older kids. He also displayed excellent skills as a high jumper, sprinter, and cross country runner. 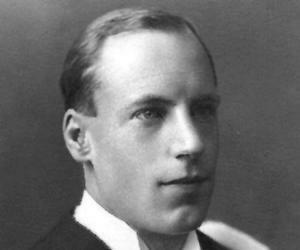 Though he was seen by many as an athlete with a promising future, he gave up athletics at the age of 12 to pursue rugby. He went to ‘Owairaka District School’ in Auckland where he completed his primary school education. He then attended ‘Wesley Intermediate School’ and later transferred to ‘Mount Albert Grammar School’ (MAGS). Williams was spotted by former rugby league footballer John Ackland when he was playing for the junior team of Mount Albert-based rugby league club ‘The Marist Saints.’ Ackland introduced Williams to ‘Canterbury Bulldogs’ as he was working as a talent scout for the popular Australian rugby league club. In 2002, Williams became the youngest player ever to sign a deal with a ‘National Rugby League’ (NRL) club. He then became part of Bulldogs’ junior team. While training with the team, he started working full-time as a laborer to support himself. In 2004, a 19-year-old Williams made his debut for ‘Canterbury Bulldogs’ in the ‘National Rugby League’ at ‘Telstra Stadium’ in Sydney, Australia. In the same year, he was selected by his national team. 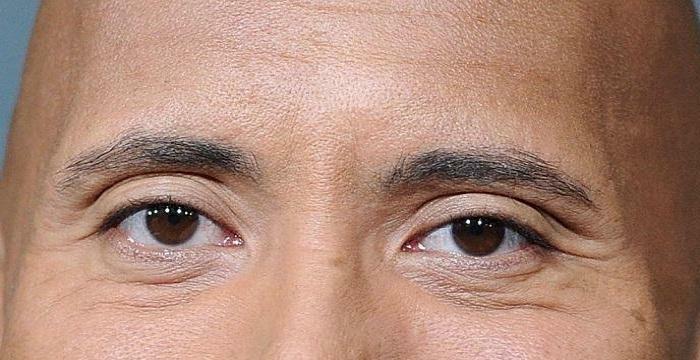 On April 23, he represented the New Zealand national rugby league team in the 2004 ‘ANZAC Test,’ becoming New Zealand’s youngest-ever Test player. Williams’ contract with the ‘Bulldogs’ was due to expire in 2005. Despite many lucrative offers from other clubs, he decided to stay with ‘Bulldogs’ by extending his contract. He suffered a severe knee injury at the beginning of the 2005 season. He just played five games throughout the year and missed playing many games for New Zealand. On March 9, 2007, he extended his contract with the ‘Bulldogs’ for the second time as he signed a five-year deal worth more than $2.5 million. He played 21 matches for the ‘Bulldogs’ throughout the season and helped his team win many games. 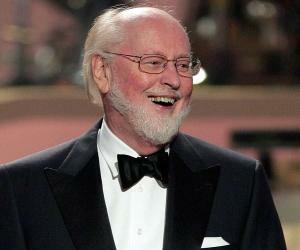 At the 2007 ‘Dally M Awards,’ he was nominated for the ‘Second-Rower of the Year’ award. In July 2008, Williams left Australia to join the French rugby union club ‘Toulon.’ The officials of ‘Canterbury Bulldogs’ were not notified of his departure. His exit from the team was regarded as an ‘act of treachery.’ Subsequently, ‘Toulon’ had to pay ‘Bulldogs’ a transfer fee of £300,000. On October 17, 2010, he was named in the New Zealand national rugby union team (All Blacks). He made his debut for All Blacks on November 6 when his team played against England. On November 13, Williams won the ‘man of the match’ award in his second game for All Blacks against Scotland. 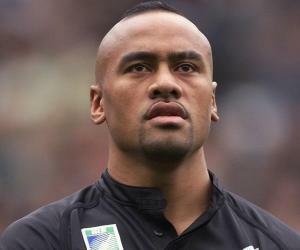 Williams played for New Zealand in the 2011 ‘Rugby World Cup.’ He played most of his games on the right wing and helped his team win the ‘World Cup.’ During the tournament, he made a new ‘Rugby World Cup’ record by scoring three tries as a substitute player. He took part in the 2012 ‘Super Rugby’ where he represented the ‘Chiefs.’ On August 4, he became the fourth player to win both the ‘NRL’ and ‘Super Rugby’ titles after helping his team beat the ‘Sharks’ in the ‘Super Rugby’ final. On July 3, 2016, he was selected to represent New Zealand at the 2016 ‘Summer Olympics’ in Brazil. While playing in the first game against Japan, Williams suffered an injury which ended his campaign. His team went on to secure the fifth position in the Olympics. Williams made his debut as a boxer on May 27, 2009. In his first fight, he defeated Garry Gurr in the second round. On June 30, 2010, he defeated Ryan Hogan quite convincingly as he finished the fight in just two minutes and 35 seconds. He came up with several impressive performances which ultimately earned him an opportunity to fight for the vacant ‘NZPBA’ Heavyweight Championship title against Clarence Tillman III. Williams won the fight in the first round via technical knockout (TKO). On February 8, 2013, Williams faced Francois Botha for the vacant ‘WBA’ International Heavyweight title. At the end of 10 rounds, Williams was declared winner as the judges scored the bout in his favor. In October 2013, he announced that he wouldn’t be fighting for the next three years which led to him being stripped of his boxing titles. 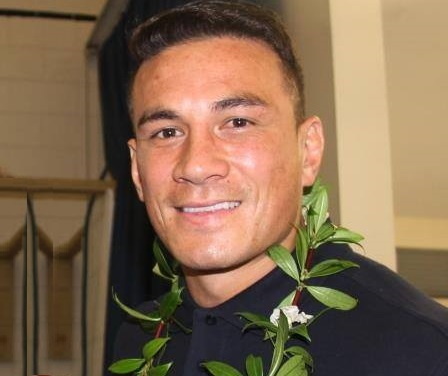 Williams has an older brother named John Arthur who has played rugby league in the ‘Queensland Cup’ and ‘New South Wales Cup.’ He has also played in the 2011 ‘Auckland Rugby League’ season. Williams also has younger twin sisters named Denise and Niall. Niall represented New Zealand women’s rugby sevens team at the 2016 ‘Summer Olympics.’ Williams’ cousin brothers Marcus and Henry Perenara are former rugby league players.